Trouble and Emmy volunteered to take selfies. 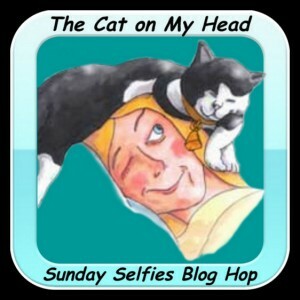 This entry was posted in Blog Hops and tagged Emmy, The Cat on My Head Sunday Selfies Blog Hop, Trouble by pilch92. Bookmark the permalink. Trouble is really a character, isn’t she? What great selfies! Trouble looks like she’s MORE than made herself right at home – isn’t that great? She just FIT RIGHT IN. Lovely selfies. Trouble looks the opposite of her name and is looking sweet and innocent. Oh Trouble and Emmy, you are a couple of cuties for sure. These are adorable selfies. Most definitely rooms with views, this week, and quite adorable selfies and easy they are too! Emmy… hmmm, she likes those high places! I’d say Trouble is feeling perfectly at home and relaxed!!! It has to be nice when they volunteer. Blessed Sunday to all! Howdy cuties, you two are looking mighty fine! Never a dull moment with these two! Looks like you are elevating yourselves this Sunday – good job! You two look like Trouble (and Emmy)!! Oooh trouble looks so sweet! What a pose 🙂 Well done Emmy too!! So cute! We have a cabinet like that, too, and my kitties love getting on top of it. Thank you. Emmy is the only one that likes to go up there. Does Emmy have special flying talents or what? Trouble, you do know how to do a selfie. Well done. Emmy, that sure looks like a great place to hang out. Have a great day. Trouble, you are too cute! You have a look of mischief. 🙂 Emmy, good for you getting way up there. I bet you enjoy looking down on your peeps and the other kitties. You two are having some fun at selfie time!! And you both did a great job too. Trouble, you look so cute there, are you plotting some mischief? And Emmy, what are you watching from way up there? Those are some great selfies. I’m glad to see that Trouble is having a nice relaxing Sunday. Emmie sure is focused. I wonder if a cranefly flew in the house. Catch it Emmie! Purr purr purr. They did a purrfect job! They know how to make great selfies! These are some impressive selfies. Trouble, your pose is absolutely purrfect. Emmy, you really went to great heights for your selfie! Purrs! Hi guys! Nice to see you doing selfies! Trouble definitely knows good living! Very nice selfies, you two!